In Spain they say you are born as half an orange, a “media naranja”. Then you search the world, your town or your barrio for the other half of your orange. Only when you find your “media naranja” – the other person who will complete you, will you ever be really happy. I’m incredibly lucky. I found my media naranja. He came from a lovely but impoverished rural community where people were not politically minded, if indeed they ever voted. Nor did they look outside the community for support in the hard times. He went to school with brothers and sisters whose parents were brother and sister and no one spoke about this to outsiders. People’s expectations were that they would be born, would work, get married, have children and die within mostly within their community. He left school at 14. No children in his class were even entered for examinations as it was common knowledge that none would need them for the work they would do. He went straight into an apprenticeship with a local firm. He dated a local girl and got spectacularly drunk with his mates in the pub on Saturday nights. But he wanted to see something of the world before he settled down so much to everyone’s astonishment he left his job, his mates and his village and went to London. From there he travelled around in Europe, getting to know people who spoke a different language, ate different food and for the first time in his life saw how wide and wonderful the world could really be. But what the world had in store for him was not more travelling in foreign lands, but returning briefly to his friends in London and a chance meeting with a teenage mum in a pub. I was not what he was looking for, nor what he wanted in his life at that time, but I was his media naranja and he was mine and so it was. We were powerless in the hands of fate. He is an open, friendly, funny and totally honest man, who offers you his hand to seal the deal. A hard worker who prides himself that every job he does meets his own high standards. Not a loud man, nor a confrontational man. He finds deliberate unkindness baffling and the world of manipulative, self- serving politicians is totally alien to him. My father (who saw more than his fair share of heroics in his lifetime) once told me that few men act in a deliberately heroic manner at the point when it’s necessary, you simply do what seems to be the right thing to do in that moment- without much forethought. This is the story of how my MN went shopping in Sainsbury’s on a Friday evening last year, acted without forethought and was again, my hero. He had just finished a small job in West Oxfordshire and was heading home when he thought he’d stop off in the small branch of Sainsbury’s in the little town there and pick up a few things for dinner that night. He had already filled his basket and was about to head to the check-out when rounding a corner into the next aisle he saw, half way up the aisle and accompanied by 2 burly security men, Mr David Cameron, also doing a little last minute food shopping in Sainsbury’s. “Good evening Mr Cameron – you and I have something in common. We have both lost our beloved sons. But we have something more than that in common too, both our sons were disabled. In fact you knew my son; you met him when you came to his school a couple of years ago for their 100 year anniversary party. 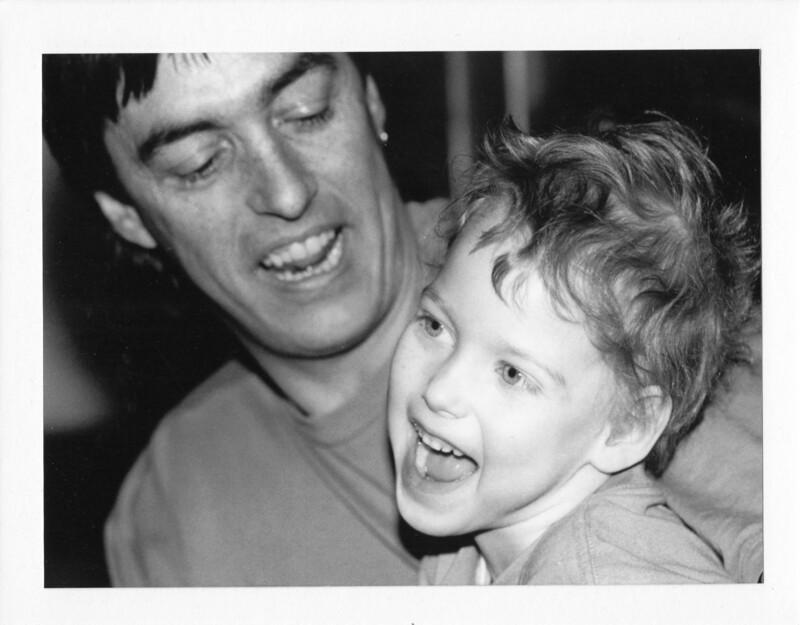 He was a lovely boy, a golden child, a special person who made everyone love him. We miss him more than I can say. But I want to ask you is why, when you know what you do, why you didn’t try to save his school from closure when you knew it was the best school of its kind in the UK, a wonderful place, a flagship school? Why don’t you care about what happens to children like my son – why aren’t you doing more for us? Don’t you know how we struggle every day and what we have to deal with? Not many of us are like you, most of us aren’t rich. Most of us need help – and where are we going to turn to for that help? You’ve cut all the budgets for everyone and these cuts are literally putting our children’s lives in danger. It’s too late for my son now; your cuts have already killed him. What I want to know is this – how many more disabled children are going to die in this country so that you and your party can tell everyone you’ve saved money? How many more families are going to be left like us, in grief and having to fight through the system just to get heard. We haven’t even had our inquest yet and god knows when we’ll have it. It’s not good enough Mr Cameron. At the beginning of the encounter Mr C was pinkly plastic, pleasant with a slight smile. By the second sentence the smile was disappearing. At the third sentence his eyes started to fill. At the fourth sentence he started to mutter something about doing the best he could, but the sentence was largely unformed and the smile had left his face entirely. By the sixth sentence he was glancing about uneasily, looking to see how close his bodyguards were to him and indeed they started moving in closer at this point. He looked desperate for a spin doctor to come around the corner to his aid and very much in need of a good speech writer. The pale and sweaty faced man was he left standing there looked a very different man to the one who had offered an unshaken hand to my partner at the beginning. “Goodbye Mr Cameron. I have a feeling that you’ll remember me” he said, turned and walked away. As if in a daze he put down his basket of food at the till, left it all there and walked out to the car park empty handed. He came home and told me everything. Within minutes of telling me he started to shake all over and he literally shook for an hour in a kind of delayed shock. He was traumatized, but I was never prouder of him. Although this only happened last year I haven’t thought of it very often and had no particular plan to write about it. But right now there are Justice for Nico flyers and Justice for LB being handed out at the Labour Party conference by the courageous and passionate Kaliya Franklin and her team from the disability charity People First England and when they have finished there, they’ll continue on to do the same at the Conservative conference. Nico would be so happy and so proud to see those flyers at the conferences. To be honest not because he wanted to tell the politicians what they should be doing for people like him and how terribly badly they are letting them down right now. No, if I’m honest Nico would have liked to see all his flyers there so that he knew everyone would be talking about his favourite subject – him. Admiring his beautiful eyes, he would have made sure he charmed the room as he flirted with the pretty girls and made sure everyone there noticed him. So perhaps after all, our son Nico was a born politician! If I could stop crying long enough I would find something worthwhile to say Rosi, but there are no words. Your husband is to be commended for such a tremendous act of courage. He probably said everything I, and so many others have wanted to say for so long. I would like to think it hit home and he was truly embarrassed by the truth. Sadly I am losing faith in Mr Cameron as he seems detached from the real world, with real problems and real people. Thank you SO much Debra for saying such lovely things! Yes, I am proud of him and proud of Nico – proud of my whole family for the way we’ve supported each other through this very hard time. Comments like yours are what keeps me writing.